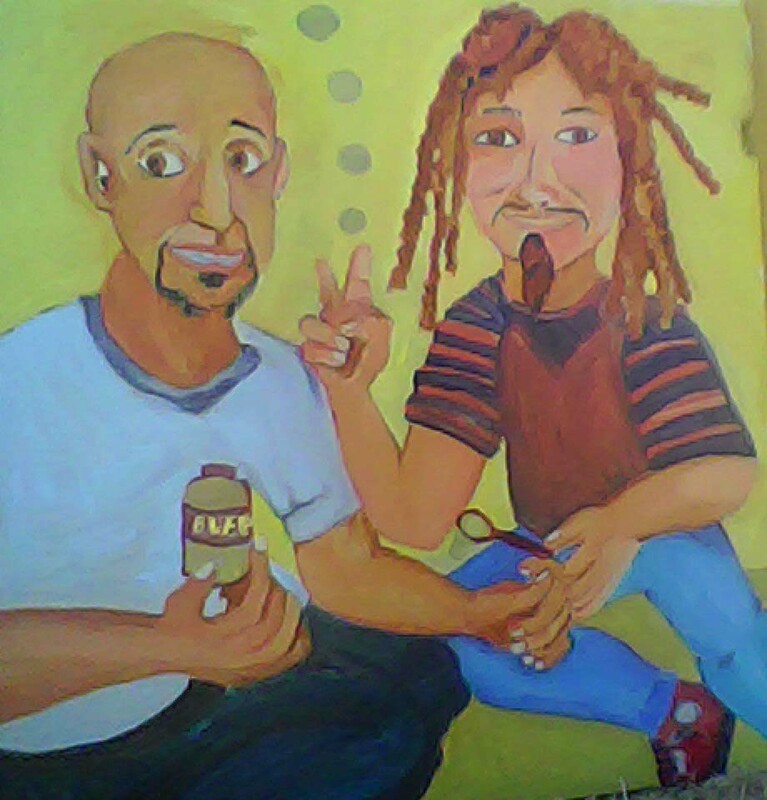 Sit/Lie: A painting of Ryan Morris and Seames Castelblanco. Ryan passed away in Berkeley in May. I’ve had my hands full lately, and you might have noticed the recent slew of guest blogs, and the longer delays between blog updates. There are two new author interviews coming down the pike, but I thought it was high time I wrote a personal blog. One of the reasons I’ve been less present here is because I have been more present elsewhere. Did you know that I write for the Oakland Art Scene for the Examiner.com? Last month was one of the busiest times of years for the arts and entertainment scene, due to the many street festivals that take place every summer, most of them in the hot, sunny months of July. Organizing and promoting the fall events I am involved in is another thing. I am not only involved in writing events: I have art events. My first solo art exhibit since I was 19 years old is going to happen in November, at Café 3016, located at 3016 Mac Arthur Blvd. in Oakland, CA – in the Dimond neighborhood. I am also painting new pieces. Painting is soothing for me: it engages a different part of my mind than writing does. Ryan and Seamas: The photo the painting was based on. I replaced my book with bubbles. 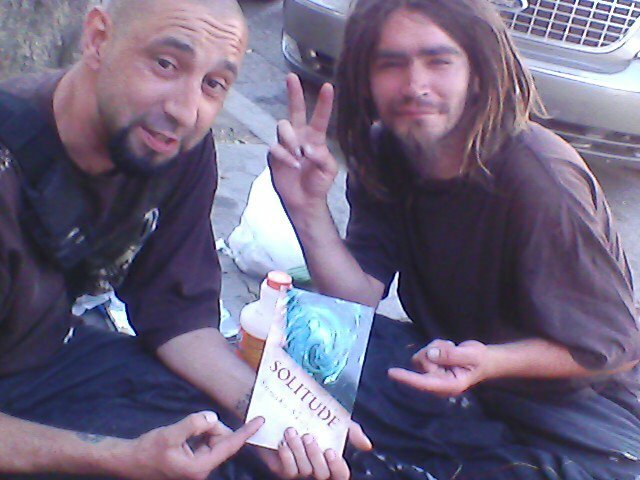 Ryan was always supportive of me as a person and an artist: he actually started a campaign to get Solitude into the Berkeley Public Library. The painting is based upon a photo of Ryan and Seames Castelblanco sitting in front of the Dollar Tree in Berkeley last year, back when they were asking people to vote against Berkeley’s proposed Sit/Lie ordinance (it was voted down by a narrow margin last November). Ryan was very supportive to me and my family in the months after my father passed in January. ~ by Sumiko Saulson on August 24, 2013.